Many websites restrict access to users with American IP addresses. VyprVPN allows you to bypass location-based IP blocking and access US websites securely from anywhere in the world. Generate an IP address that originates from any of our global VPN server locations. Access your favorite websites, secure your Internet connections and encrypt all data you send and receive online. With VyprVPN, users in the US and around the world can surf the Internet freely and securely, while avoiding government surveillance. Choose one of VyprVPN's server locations in North America, South America, Europe, Asia, Africa or Oceania and experience the Internet without geographic restrictions. Surf the web freely regardless of your true location, network or device. There are several laws which enable the United States government to view electronic communications, including the Cybersecurity Information Sharing Act (CISA) and the Foreign Intelligence Surveillance Act (FISA) 702 amendments. VyprVPN uses 256-bit encryption to keep you safe from the government, as well as hackers and snoops on unsecured networks, including Wi-Fi hotspots in the USA. 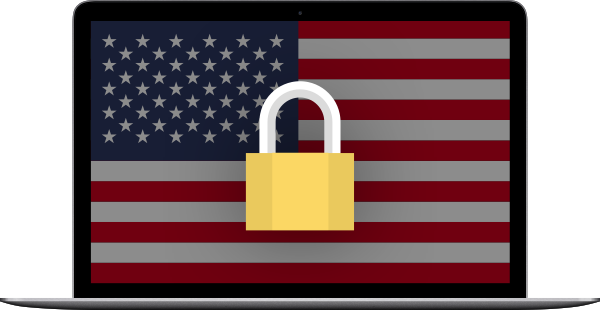 VyprVPN, the best USA VPN service, also prevents your ISP from using deep packet inspection (DPI) to inspect and throttle your connection. 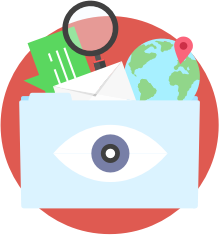 With VyprVPN activated, your ISP sees only encrypted VyprVPN traffic and your VyprVPN server location - not the emails you send, websites you visit or other personal information. Protect yourself against data retention in the United States, and the Stored Communicaitons Act. Don't let the government spy on you or invade your privacy. 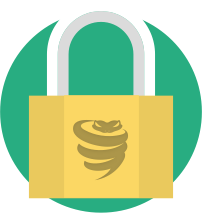 Use VyprVPN to encrypt your Internet connection to protect your data and maintain your Internet privacy and security. Generate an IP address that originates from any of our global VPN server locations to access your favorite websites and secure your Internet connection.